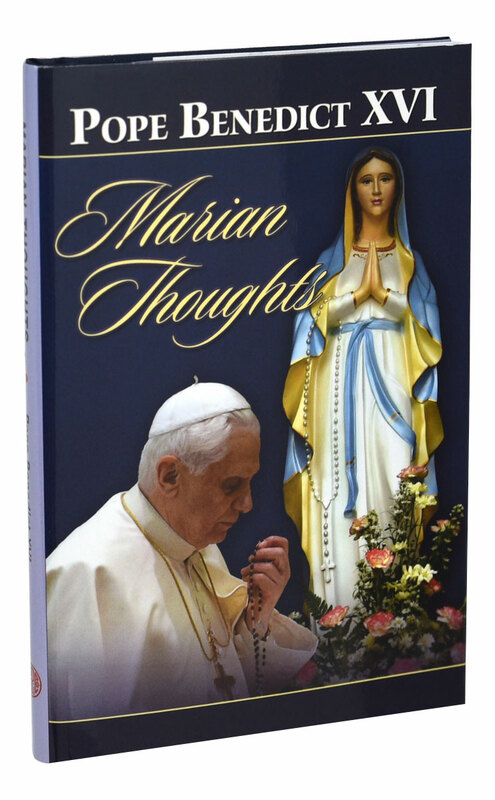 Pope Benedict XVI's Marian Thoughts from Catholic Book Publishing offers a selection of 100 distinct Marian thoughts from this Pope who has a special devotion to Our Lady. 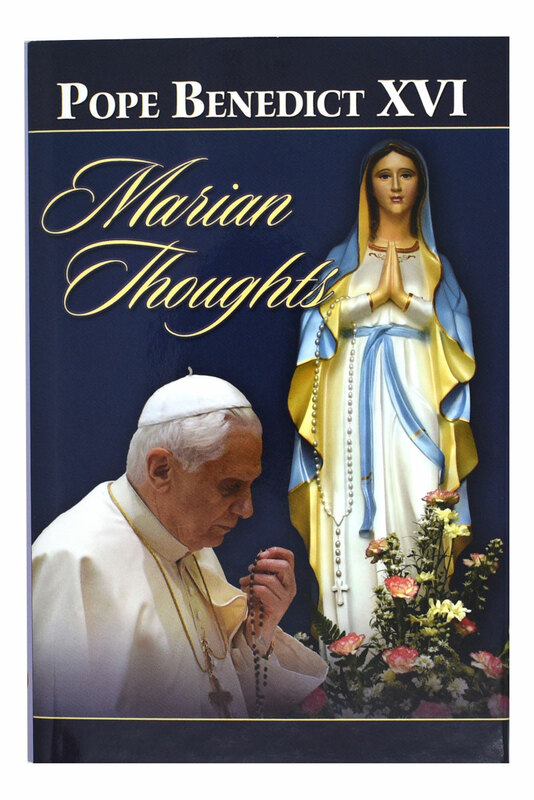 Marian Thoughts explores the significant moments in the life of Mary, including the Annunciation, the Visitation, her proclamation of the Magnificat, the birth of her Son Jesus, His crucifixion and death, Pentecost, and her Assumption into heaven. 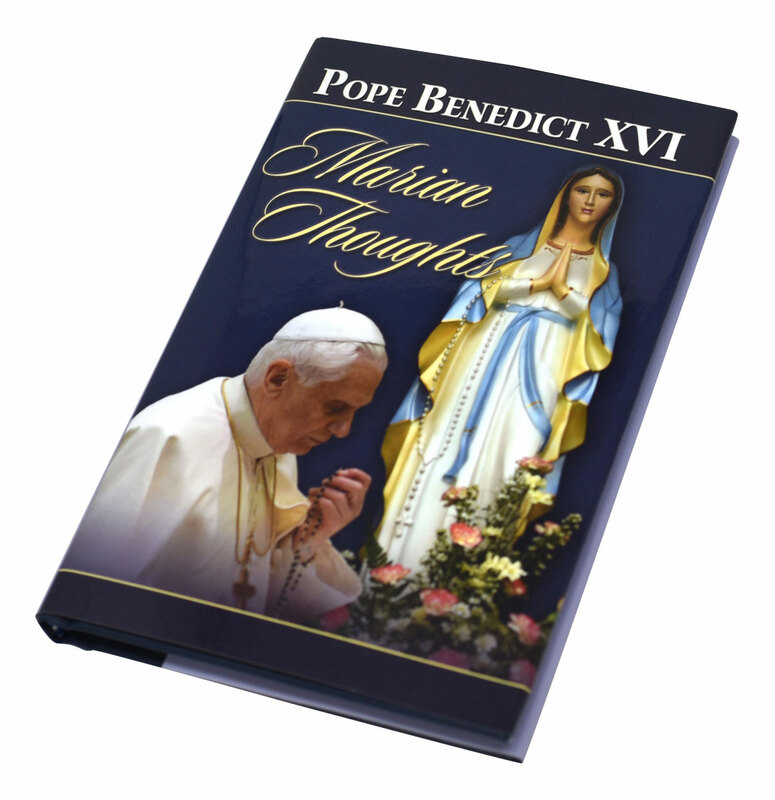 In Marian Thoughts, Pope Benedict XVI also provides a portrait of Mary as a disciple of Jesus. 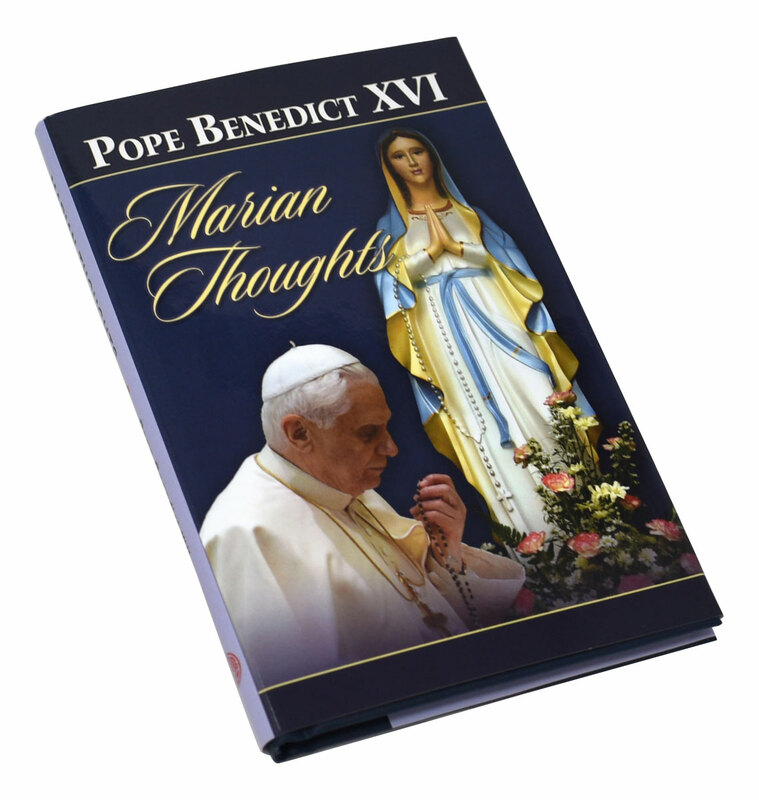 The Pope reflects on Marian devotion and concludes with several inspiring prayers to the Blessed Mother of Jesus and our Mother. This beautifully expressive and illustrated hard cover volume with an illustrated dust jacket will be a cherished gift or personal resource for years to come.